KaukoInternational Shanghai, daughter company, had this year, like many other years before, their own stand at the annual CIPTE 2018 Paper Exhibition on Aug 29th – 31st. This year participating at the stand with KaukoInternational Shanghai were quite a few leading companies in paper industry sector in China and worldwide as well. 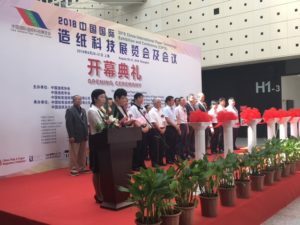 KaukoInternational China participated CIPTE 2018 Paper Exhibition together with MAN wacuum system, PMP paper machines, Raumaster Paper winder and packaging lines, Teufelberger tail threading ropes and Tasowheel actuators. CIPTE (formerly known as China Paper Expo) is a major paper industry event in China, held every year alternately in Shanghai and Beijing (or other cities). 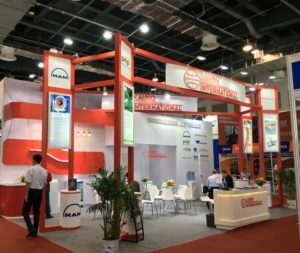 Almost all major international and local paper machinery suppliers have participated in this show and this year was no exception. KaukoInternational China has been taking part to this Expo for over 10 years as well. As a tradition, KaukoInternational has 54sqm booth every year, and 5 to 6 principals sharing the space. 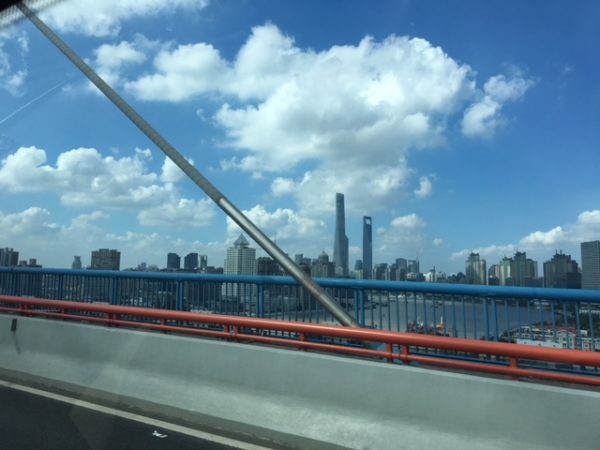 This year the city of Shanghai showed its best parts even starting with the weather being beautiful with clear blue sky. The three-day exhibition included many business meetings and negotiation, networking and meeting up with all our friends in the industry and all who share the same passion to the pulp and paper solutions. What is happening in China industry and market? The country has 1/3 of the world production. The market is clearly an interesting territory with a lot of opportunities for other countries and territories as well. Having said that the world political situation and the heavy price competition are complicating and putting pressure on the markets and industry. This has driven also China industry to look for new possibilities. As a negative impact, some people estimate that nearly 20% of the production is down or diminishing due to commercial sanctions between USA and China. This definitely has an effect or has already affected to the amount of investments from and to China. KaukoInternational Shanghai is a daughter company of KaukoInternational Oy Ltd. It has roots in Kaukomarkkinat and the office in Shanghai was established in 1952. KaukoInternational Shanghai has a strong focus and expertise in pulp and paper industry, and the whole sales team from management to assistant level has firm experience of the industry and in their own professional field as well. KaukoInternational China is responsible for the business, sales and development of KaukoInternational Group’s activities in the Asian region. Our general manager there is Tong Jianan (tong.jianan(at)kaukointernational.com).